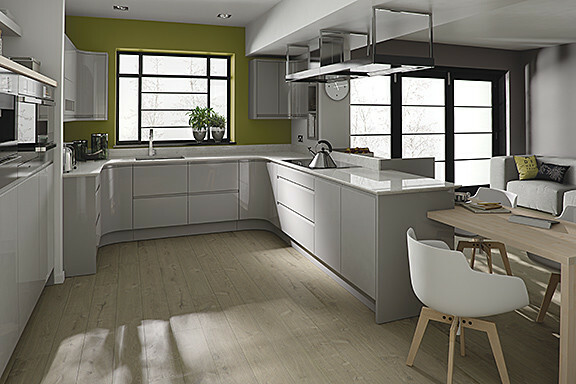 White remains the most popular option for kitchen suites across the UK. But why? Well, white kitchens can bring a surprising range of benefits and advantages. Here at Homematas, we are Preston’s leading kitchen design specialists. And we pride ourselves on our ability to help homeowners and property developers make the right kitchen choices for their property. So, why should they consider white? And what are the advantages of white kitchen suites? A clean appearance- if your white worktops and cabinets are glistening and clean, your whole kitchen will look clean too, by association. This is because every little detail will show up on a white surface. In comparison to red, blue, black or even wooden cabinets, white will reflect the most dirt. So when white surfaces look clean, and are kept clean, this helps your whole kitchen look clean too. A blank canvas- for people looking to sell their home, or for property developers, a white kitchen suite can be a good idea. This is because white is blank, and anybody viewing your property can imagine what their design choices would look like in the space. This means that they can connect more with the property, and get ideas about how to make their own mark on the space. Any style- white is classic and timeless. So whether its a traditional kitchen, a farmhouse kitchen, or a contemporary one, white is the perfect colour to choose. It will bring out the design features and details of each style, without becoming aged or out of fashion. For more information or advice, get in touch with the team today, here at Homematas.